Resident Evil 7: complete edition. So far, we have many different details revealed about the Resident Evil 7 gameplay, graphics, soundtrack and other major things. However, we have nothing clear about the main character Ethan or most importantly about the complete edition of the game. As most of us tried to make our first impression about the game while playing its demo version “Walkthrough” the Beginning hour, others didn’t believe that such a story will also come with the actual game. To tell you the truth, they were kind of right, because the demo version was created only to show what the game might look, but not how it will really look. Not to mention, it is not that finding some new and useful information about Resident Evil 7 complete game edition is hard, but it’s actually almost impossible. In short, Capcom team, does a really great job by keeping most of the Resident Evil 7 actual game details in secret. How actual Resident Evil 7 game should really look like? Differently than Resident Evil 7 trailer or “Walkthrough” Demo version, the actual game will face more mechanic features and will definitely provide more scary details. When we say scary, we really mean it. If you don’t believe it’s true, watch the video below. As we understand, this video did not portray Ethan or any other already known character. It shows the emotions, the fear and confusion of Ethan’s wife, who was kidnapped by the Bakers family. In order to create even more mystery, the trailer begins with a terrifying music and trembling voice of Ethan’s wife, whose name wasn’t revealed yet. As you can hear, she speaks with a tremendous fear, however, she still tries to calm herself by trying to explain Ethan what happened. The things is, she is completely lost and has no idea where does she came to and also, she was completely alone. Meaning, that Ethan was far away from her. Of course, she was alone, if we would speak about a normal people. Otherwise, she was more than alone, since the house was full of creepy cannibals, who were looking for her all over the house. Moreover, as it is clear, this actual game trailer represents such a type of rooms that will definitely appear a in real game version. They will be dark, gloomy, cold and most important terrifying. Not to mention, in the end of the trailer you can see one of the most deadly frightening faces of some women, which appears in front of Ethan’s wife. We don’t know what you think, but we truly believe that this “ghost” has nothing to do with kindness or something like so. Let’s cross your fingers and hope she will stay alive. Maybe, Ethan will be able to find her and Resident Evil 7 Biohazard final edition will end happily. WHAT MADE RESIDENT EVIL 7 BE SO SUCCESSFUL? There are many rumors about Resident Evil 7 success. Some say that an exclusive horror video game gain its success because of strong content and graphical elements, while others claim that it all happened because of new and exclusive characters. But what is the real truth? 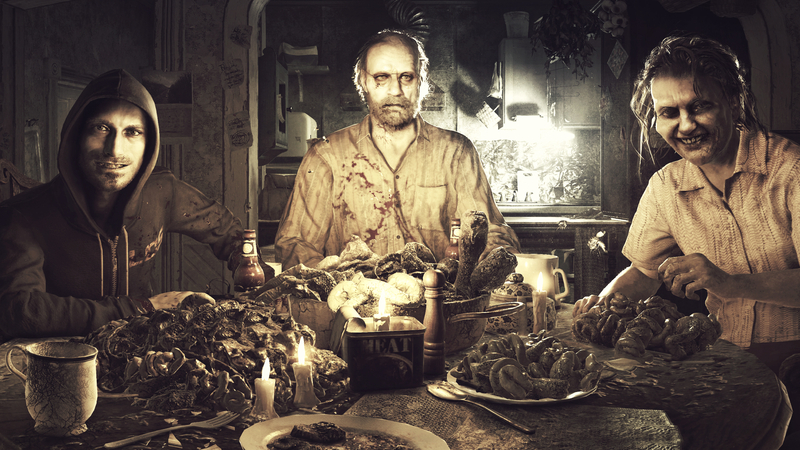 According to Resident Evil 7 complete edition and Capcom team, there wasn’t one element that could influence such success. High resolution graphics, never seen gameplay, characters, ability to maintain the fear and many other things contributed to the success. Of course, as Capcom believes, the best results were achieved because they changed the game in general. 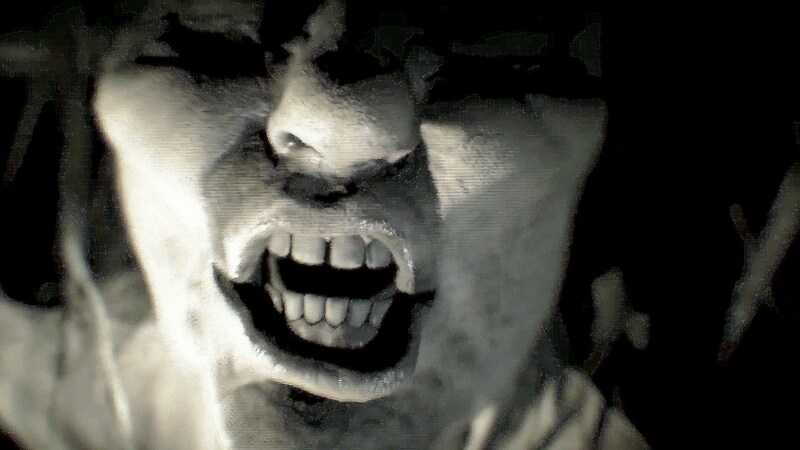 If all previous RE games were playable from a third person perspective, today, Resident Evil 7 Biohazard final edition could be only played from a first person view. Such possibility allows to immerse into the game with entire soul. What to speak about the emotions and fear that you can express or feel only, while playing alone. One more thing that made the game so popular and playable is the fact that no more fighting is needed in the game. More specifically, you can attack or protect yourself from Jack Baker or other scary creatures in the game, but it is not actually required. One of the options is simply to hide or trick the person who tries to kill you. Of course, we can’t say that all previous RE games that was based on fighting against zombies wasn’t interesting or fun. They were great. However, gamers were thirsty of something new and never tried before.